As always, the OCA's synodal press release is the most comprehensive of the US jurisdictions. When you compare it to the Greek Archdiocese for example it's night and day. This sort of adumbration compared to "We had a meeting. Here is the picture." is quite appreciated. I have marked the more interesting items. 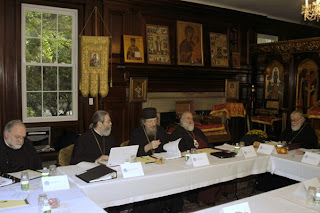 (OCA) - The fall session of the Holy Synod of Bishops of the Orthodox Church in America concluded on Thursday, October 6, 2011.
heard an in depth report by Mr. Wojcik on various legal matters in executive session. 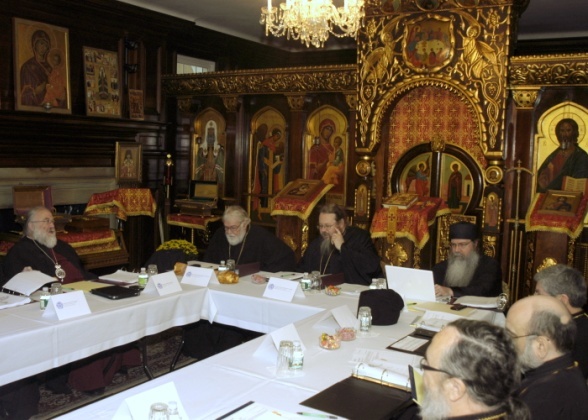 There were extensive discussions on particular issues concerning which the Holy Synod offered guidance. heard the report of the Board of Theological Education. The Holy Synod approved psychological testing for all candidates for ordination, clarified procedures for ordination, and blessed the Board’s ongoing work in drafting a formal policy document. This will be released when completed.